The biggest branded accessories sale is back and made even more luxurious! 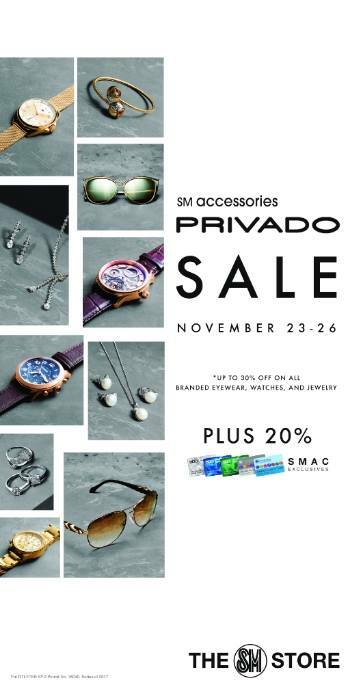 Check out the SM Privado SALE happening from November 23-26, 2017 in all SM Department Stores nationwide! 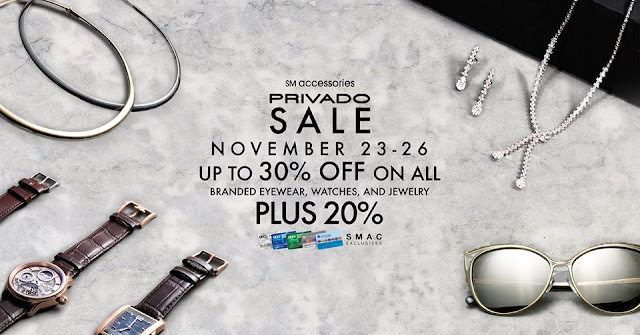 Enjoy up to 30% off on over 100 brands of signature eyewear, watches and jewelry! Plus get an additional 20% off upon presenting your SM Advantage, SM Prestige and BDO Rewards cards. Plus...get an additional 20% off upon presenting your SM Advantage, SM Prestige and BDO Rewards cards.